Few people have been in the eye of the Sega hurricane the way Joe Miller was. As Senior Vice President of Product Development, he had a hand in the workings of virtually all of Sega’s in-house software, and he also worked with most of its hardware platforms, including the 32X and Saturn. 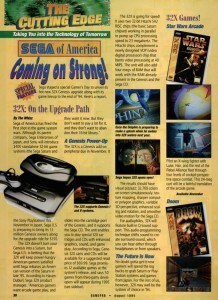 In all, Miller’s footprint across Sega’s growth in the mid ’90s was quite large, spanning everything from the Multimedia Studio to the Sega Channel, and his work was a major factor in the company’s success. By the time he left Sega in 1997, he had helped launch five new platforms and over a hundred game titles. Despite this success, most gamers associate Miller almost exclusively with the 32X, relying on rumors, speculation and stories told over the past decade and a half that place him as the sole mind behind the add-on’s mushroom design or as the head of an exclusively American hardware design team. Sega-16 contacted Miller, and he agreed to set the record straight about his purpose at Sega and its products. For over an hour, Miller chatted over the phone with us and shared detailed insight about his tenure and accomplishments. Sega-16: If one looks online, most of what’s been written about Sega between 1992 and 1996 that involves you seems to revolve exclusively around the 32X. You’ve been involved with many other things, such as the Sega Channel and SegaSoft, and this major part of your tenure hasn’t really been explored. Joe Miller: I think pretty much everything that needs to be written about the 32X has already been written. My stint at Sega was a lot of fun; it was rich in all kinds of ways, and I have lots of wonderful memories. I was fortunate to work with a huge number of very talented people, but I would guess that maybe 80% of my time was focused on software, and about 20% on hardware. So, it is interesting, you know, once the meme starts… once that meme gets hold of some momentum, it just grows and grows. Sega-16: You made changes to creative development processes while at Sega. Could you give us some detail on what that entailed? Joe Miller: It wasn’t so much making changes to the development process as trying to articulate one that hadn’t been documented before. This was something that was driven from the bottom up, an outcome of an offsite the SOA product development team held in 1995. This was a process that the product development team defined, instead of it being a mandate. It was more a matter of me facilitating and documenting what we called a “pre-production process.” So for the first time, at least in Sega of America’s (SOA) history, it defined the various stages and made clear, not only to everyone in SOA product development but anyone outside who wanted to propose a new title or a new idea, how it worked and what the steps were. We just documented of stages of pre-production – where ideas start, how they get vetted and how they are green lit for investment of the first stage of development (the concept itself). We would fund ideas with a little bit of money, enough to develop a more formal pitch, and then we would fund a pre-production stage with about 20% of the expected development cost, to get us to the stage where we would all have a better idea of what was that was being proposed in order to have a formal, corporate pitch that could be experienced more broadly. It was an exercise in creating some common language, some common understanding around the development process. It revolved mostly around the concept development process, not so much changing the way we worked with developers or the way we went about managing the formal development process once something had been committed to and once we had the title in the forecast. This was all formalized around the middle of 1995, so it wasn’t something I did early on. It was done midstream in my tenure there. I was actually consulting for Sega from mid ’91 to early ’92 for Ken Balthaser, helping him coordinate and organize the internal multimedia studio. I then recruited the initial director of the studio, Tom Reuterdahl and stepped away to do some other things. When Ken decided to leave Sega and join his son’s new venture, Sega reached out to me, as I had a recent existing relationship, and asked me to join as Senior Vice President of Product Development. I wasn’t sure that was what I wanted to do, but after getting in and having some conversations with Tom Kalinske at length about the working relationship with Sega of Japan (SOJ), how much independence would be involved, deciding exactly what to build and how the process would work, I felt more comfortable with it. And in October of ’92 I formally joined Sega, and stayed through the formation of SegaSoft and ultimately ended up leaving in August of ’96. I continued on as a consultant to mop up some things for them, and then pretty much handed everything over in early ’97. Sega-16: So you were deeply involved in Sega’s first party games. Joe Miller: I was responsible for all the hardware and software that SOA developed internally, that wasn’t developed by or acquired from an outside developer or wasn’t brought in from SOJ. In 1992 that was about 42 titles. In ’93 it was over 50 titles (those are software title counts, not including some of the hardware SKUs we produced). So, it was a substantial quantity, and I guess I’m most proud of the fact that what we produced within the SOA product development group represented about 80% of SOA’s total revenue and the bulk of the profits. Our charge was to create titles that were designed to resonate and be attractive to the North American gaming marketplace, and we achieved that as measured by the revenue we generated. I think the SOA PD team, through the formation of SegaSoft, had contributed over $1.3 billion gross in profit contribution to SOA and well over 300 total SKUs. That’s what I was focused on at that time for the company. Sega-16: Then the titles that were localized from Japan complimented what SOA was releasing, and the focus was on American-made games, right? Joe Miller: Yes, the focus was on American-made products, an in some cases American licenses. SOJ was absolutely fantastic at developing high quality, compelling, highly interactive titles with great gameplay, but they were definitely not tailored to the American culture and the U.S. marketplace. One of the reasons SOJ was willing to invest in the product development capabilities of SOA in the early ’90s was to have a team that could drive product development around titles that were important to the U.S. gamer. Sports titles, obviously… we weren’t going to see SOJ developing American football titles for the U.S. marketplace. That Sega Sports focus and the Sega Sports dev teams… the groups that were responsible for licensing those properties as well as those developing them, were all part of SOA’s organization. So yeah, we did have the opportunity to hand pick the SOJ titles that we wanted to localize, and there were many that came over each year, but we complemented that with a larger number of SKUs that were developed solely for our market. Some of those would go back to Japan, some would go over to Europe, but they were designed specifically for the North American market. Sega-16: So you got to choose which games you localized? It wasn’t an issue of SOJ forcing titles on you. Joe Miller: No [Laughs]… we got to choose. It was a thoughtfully negotiated process. We would make frequent trips over to Japan, and they would show us what they were doing; we’d show them what we were doing… we’d have honest, direct conversations about what we thought was going to work for our market and vice versa. We’d ultimately end up taking a subset of what they were developing for localization and adaptation to our market. It certainly wasn’t a matter of SOJ saying “you’re going to take these six titles or else.” It was very much a collaborative effort, certainly in the time period I was there and during the meetings that I participated in with SOJ. Sega-16: Did you ever notice a change in the relationship as time went on? There has always been this controversy about the relationship between SOA and SOJ deteriorating towards the mid ’90s. Joe Miller: I can only speak from a personal perspective, based on my relationships and meetings, and I never saw a deteriorating side of that. There was a lot of consternation in the latter days, when we had the real issues surrounding the timing of the launch of Saturn and the competing platforms out there, what we were doing, and what our strategy was with respect to getting better 32X penetration with third parties, etc. We had many serious conversations, but we never lost the personal and professional respect that we had garnered during the salad days, the growth years when we were exceeding expectations and meeting or beating the numbers we had committed to. I’d say that the rhetoric around the deteriorating relationship is probably overblown a little bit, based on what I’ve read. Nakayama-san and SOJ knew they had a strong, proven management team in place at SOA, and while everyone was concerned about growing the business, neither side lost confidence in the other. But again, I was out by ’97, so I can’t speak for what might have transpired during Bernie Stolar’s time or some of the other groups that came in after I left. I wouldn’t try to represent that dynamic after my time. I continue to have a great deal of respect for SOJ. They were some of the hardest working, most capable group of co-workers with the deepest work ethic that I’ve had the pleasure to work with in my career. Sega-16: One of the biggest projects you had a hand in was the Sega Channel. Could tell us more about your involvement? Joe Miller: I was the senior technology person responsible for getting the Sega Channel launched, but I wasn’t directly involved day-to-day with it. We had a small team of people that ran the Sega Channel business, once we had the necessary hardware developed. I was involved in the early days when we, Time Warner, and TCI engineers were figuring out exactly how the technology should work, how easy it was going to be for us to take the Sega Channel technology into various types of cable head ends. What we were doing, essentially, was inserting our data (a repeating stream of Genesis cartridge images and metadata) into bandwidth that was either unused or underutilized in various forms of head end distribution systems. I had to weigh in on that, in terms of optimizing it… making sure that we were not going to find ourselves in a situation where we’d only be compatible with a small subset of the total available cable systems we were marketing to. So, we ended up with system that was far more flexible than we had started with. Once it was up, we had a team of people responsible for running the Sega Chanel line up, managing the rotation (which titles they wanted in), and I had a collaborative relationship with them. They might want slightly modified or adapted versions of older titles, so sometimes we would have to crack those open and either pull levels out or make adjustments, perhaps put a splash screen in for a Sega Channel exclusive. That was fun because it was new, the whole notion of delivering digital entertainment over cable in a way that was seamless, painless and just worked well. We were blazing new territory. There had been lots of great promises made over the years prior about the coming revolution of interactive TV, big trials for Time Warner in Orlando and a number of other very visible attempts at leveraging the cable distribution system for interactivity. The Sega Channel was really positioned well. If you were a gamer, or if you had a gamer in the house and you had a Genesis in the house, then this was a way for you to subscribe to an affordable monthly service that would get you hot, new titles and a library of classics, and it all just worked. Sega-16: The Sega Channel was rolled out more or less right when the Genesis was starting to get long in the tooth. What were the long-term plans for it? Were there ever any discussions about what would happen to the service when Sega moved to the next generation of hardware? Was there ever a plan to have it continue, transfer over to the Saturn, or was it conceived as strictly a Genesis-only service? Joe Miller: It was designed as a Genesis-only service because it was designed to deliver a cartridge image. In other words, it was optimized for cartridge-based platforms, certainly not for CD or other optical media-based platforms. Saturn had cartridge devices for connecting to the Internet, so our overriding assumption was that the distribution model was shifting from cartridge to optical very quickly, and then from optical to an Internet-based delivery model. So, there really was never an intent or desire to take the traditional Sega Channel model up to the optical media-based platforms. I think our partners, Time Warner and TCI, believed that the Sega Channel was a profitable experience for them. It was successful, it was technically sound, and I think it actually met the objectives we had when setting it up. I don’t think anyone had visions of it lasting 10, 12 or 15 years in the marketplace. Sega-16: There was never anything similar planned for the Saturn Netlink? Was any of the ambition behind the Sega Channel planned for an expansion on Saturn? Joe Miller: The Netlink was designed for a different purpose. It was more for multi-player interactivity, you know, getting you connected to a bigger service. It was not for downloading a chunk of a game or running levels of an existing title. You have to keep in mind that the economic model, the business model at the time, was selling in hardware and then selling software at much higher margins through distribution channels. I think the closest we came to moving the Sega Channel vision to the next level, our subscription-based revenue model, was the Heat network for SegaSoft. That was really the next foray into network-based, multi-player gaming, with voice and a lobby system, with a large library – very similar to what you see today on Xbox Live, for example. So, that was a precursor to where we thought things were headed next, as opposed to a grand vision for how to take each console that we launched to a connected world. We kind of experimented with Sega Channel, though, and it was an opportunistic situation. We had a large back-catalog of titles for Genesis. The reason it was mid-life in the Genesis cycle was because we wanted to give the people who otherwise wouldn’t have seen the older games because they were either out of distribution or hard to find, or perhaps people had moved on from those genres… we wanted to give them an easy and instant way to have access to what we thought were still great games that had a lot of gameplay value that they wouldn’t otherwise be able to purchase. A model like that was really designed to serve a mid-late cycle platform, and what we did with the Heat Network for SegaSoft was get it to a larger game-playing audience, much more synchronous activity with multiple user environments. Sega-16: Several former Sega alumni have mentioned that SegaSoft came out of the 16-bit era, born from a rebranded Sega Technical Institute. How exactly, did it come about? Joe Miller: The formation of SegaSoft was a much bigger discussion than just a rebrand of STI. It had to do with the company looking at all kinds of things associated with the fact that we were supporting numerous platforms within our development organizations. The SOA product development team, including STI, was not very large, but we were still supporting 9 or 10 platforms in ’95 (Genesis, Sega CD, 32X, 32X-CD, Game Gear, Pico, Saturn, PC, PC-CD). We also had adaptations of other hardware to support. We had the SVP chip; we had experimented with different cartridge models like the lock-on cart and some other hardware. The decision to form SegaSoft was made when there was a realization that as a first party software development organization solely focused on building key titles that were going to drive the adoption of new hardware, the economics of that might not make as much sense as they did in the earlier days of the console business. Instead, we looked at the pros and cons of creating a stand-alone entity that would be a separate company, independent of the hardware company that could leverage not only the existing expertise that we had built over the prior years but also leverage brands, technical knowledge, IP, characters and all the other things that we represented as an established team. It would be able to compete on a level playing field with all the other software companies in the business, whether it was Electronic Arts (EA), Activision, Ubisoft, or whoever. A development model that didn’t have an allegiance to a single manufacturers hardware platform seemed to make a lot of sense financially. We could still create titles that were going to drive deep penetration and awareness of Sega-branded hardware, and continue to attract people to the Sega brand more broadly on other hardware, too. We thought we might be able to do that more effectively if we were unshackled from doing it only on Sega hardware. Being able to take Sega titles and licenses and do it without being bound on any platform made a lot of sense. So that was the impetus for forming SegaSoft when we did. We put a lot of thought into it and there was a input on how to do it from external experts and VCs, and we ultimately pulled the trigger in late ’95, probably November, and by the first quarter of ’96 Sega Soft was formally launched and running. There were some pieces of STI that got rolled into that, certainly it was the bulk of SOA’s product development group that was rolled into it, and we had a running start on first year revenue of about $80 million with about 150 employees. At the time it was a good-looking benchmark for a young company that had the ability to make its own decisions quickly about which titles to develop, how to invest its capital, how to go about selling its products with its own sales force in a way that was new for Sega. That was why we formed SegaSoft. It’s ironic now that Sega itself has largely adopted the model we proposed and kicked off in 1995. It’s a longer story than that, and I don’t know that I can give you all the nuances in a short answer, but that’s my best recollection. It wasn’t a “rebranding” of STI at all, however. Sega-16: Did that ever lead to any discussions of Sega possibly leaving the hardware market, if SegaSoft really took off? Joe Miller: No, it didn’t. It was completely a software-driven conversation. The metrics were all about how we could maximize return from the dollar, energy and talent that we had wrapped around software development. It had nothing to do with Sega thinking about getting out of the hardware business. At the time SegaSoft was formed, Sega was fully committed to the hardware business in many, many ways. It continued active development of advanced platforms for coin-op. We had numerous discussions with NVIDIA regarding co-designed platforms that never saw the light of day but were very, very interesting. There was serious work with NVIDIA on a quad-based, polygon system that went quite a ways down the design road. NVIDIA was a new company then, and we had lots of fun putting those ideas and prototypes together. We ultimately backed off of that, and there were some discussions with a division of Lockheed Martin. 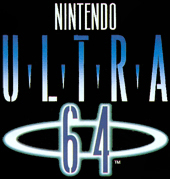 This was all post-Saturn, and Sega was committed to advanced hardware platforms. It was going to focus on building the best hardware it could. 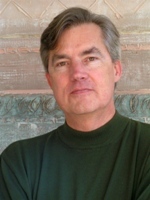 The intent was to make sure that teams that were being formed to build software for those platforms could maximize their returns, essentially create a profit center for software as opposed to a cost center that had to support driving hardware in, building an installed base for third parties, which had really been the model in the early Genesis and Master System days. First party software is meant to accelerate the growth of an installed base so third parties can jump on the bandwagon and quickly develop great titles for the hardware and generate higher margin revenue. Sega-16: When we spoke to Tom Kalinske, he mentioned that the Silicon Graphics chipset that ended up becoming the Nintendo 64 was initially pitched to Sega, but that SOJ shot it down. Is this true? Joe Miller: It’s true. I would say that it’s not so much that they shot it down as much as it was that they simply didn’t warm up to it. We were highly confident that collaboration between Sega and SGI would work well, and Tom and I were excited about it; we were strong proponents of it. We were able to get the conversation to a level that had all the right people from Japan looking at the opportunity and in the room. This was partially due to the fact that Sega had always been a hardware company; its DNA was driven by its ability to design high performance hardware systems for coin-op for many, many years. There was a tremendous pride within the organization about their ability to engineer whatever was needed to create compelling entertainment platforms, whether they were consumer, coin-op or whatever they might have been. I think the problem with the SGI opportunity was that there may have been a touch of NIH (Not Invented Here) in the reaction. That might not be completely fair, because they were concerned that the process required for fabricating that particular chipset was new. There were concerns about yield; there were some voiced concerns about how many of these could be made quickly. Part of what makes a consumer products company successful is that you understand the manufacturing process well enough to know that you can make enough product to meet demand, and there was concern on that particular opportunity that that chip was going to be difficult to manufacture at the quantities needed. The way I would put it is that it would have been an amazing opportunity– obviously Nintendo figured it out… so it wasn’t a problem ultimately for those involved, except I’m not sure that Jim Clark felt that it was the best result for SGI. I think it’s fair to say that both Tom and I, and others at SOA, felt this was absolutely a potential next platform opportunity for us, and we got fairly deep into conversations with all the right people at SGI, brought SOJ in, and we wound it down pretty quickly. At that point, it was pretty clear that if Jim Clark wanted to pursue that idea, he was going to have to start making other phone calls, and he did and went with Nintendo. Sega-16: Was the Nomad designed with the intention of replacing the Game Gear, or was it developed because costs had come down to the point that it was reasonable enough for it to be done? Joe Miller: That’s a good question. I don’t know that I have an actual answer to that because it was done in Japan, and I wasn’t present when they were discussing why to build the Nomad. I can speculate, but it’s only speculation. Often, various manufacturers in Japan would present proposals to Sega for cost reductions, for improvements in packaging, etc. You know, there were the JVC X’Eye and the Wondermega, which are examples of that sort of collaboration. Pioneer had the Laseractive… a bunch of examples of companies that would come to Sega, make a pitch and say “hey, I can reduce the form factor; I can reduce the footprint of Genesis to something that’s much smaller.” I think Nomad resulted from one of those relationships, one of those pitches. I don’t think it was ever intended to be a Game Gear replacement. Obviously, Game Gear preceded Genesis; it was based on the Master System architecture and did quite well. I just can’t tell you that there was a decision, or a goal or a hope to replace it with Nomad or not because I wasn’t aware of that. I was surprised when Nomad showed up one day. You know, it’s one of those things that you really don’t hear about… for me, anyway. You don’t know it’s happening until you get a box from Japan – “oh, by the way, here’s a portable Genesis for you that we’re working on.” I thought that was pretty cool [Laughs], and I still have one in my collection. Sega-16: It’s interesting that it originated in Japan, but it ended up only being released in America. Joe Miller: Right, it is interesting, which again, leads me to believe that there was no grand scheme for it. Certainly, it would have been released in Japan had it had a more specific business plan around it. But if you add up all the various Genesis models, including the Nomad, model 1, model 2 and others (not including the later Majesco stuff, the so-called model 3, because I’ve lost track of how many of those they might have sold), I think Genesis ended up penetrating a little over 40 million units worldwide. That was pretty good for the time. Breaking the 30 million barrier would have been considered great, and actually hitting 40 million worldwide indicated that the Genesis was definitely a successful platform in the marketplace. I think Game Gear ended up hitting about 12 million worldwide. Sega-16: What are your thoughts on the Saturn’s famous North American release? Everyone talks about the surprise launch in May, but what was the atmosphere within SOA after the decision was made? Was there a feeling of renewed focus, or were there doubts about making it work? Joe Miller: You know, frankly I was too busy making sure we had the right tools, the right development systems, the right developers and concepts on the way to get too riled up about launch dates. There were a lot of discussions about the Saturn’s launch date, about having to pre-empt various other platforms that might have been coming… there were a lot of people whose job it was to worry about launch dates, but that wasn’t one of mine. My job was to make sure we had titles for whenever it was going to be launched, and that was a big enough challenge that I was heads-down on that. Our team, all of our teams on both sides of the pond, was focused on making sure we had some great stuff to ship whenever the platform was going to be launched. I know Tom Kalinske probably shared with you his impression of the early Saturn launch, but that was largely his job. He determined the best possible timing and marketing strategies, building a strong campaign around launching any platform – not just price points but when, and how and so forth. I left that to him and everybody he hired to do that, which they did so extremely well. So, I can’t give you a better response to that. Sega-16: But on the software side, it didn’t have an effect on what you were working on? Joe Miller: No, it didn’t have an effect on what we were working on. It obviously made it more important that we resolve thorny challenges – and we had many. In all the things that have been written about the transition from the 32X to the Saturn I don’t think this one has been told. One of the rationales for the 32X was to give developers a step-wise way to get into 32-bit and multiprocessor programming. Saturn had eight processors, and the set of tools, the documentation, training, sample code – to get that platform to do what it was designed to do was a very complex and painful learning process for developers, including the best and sharpest minds that Sega had to bring to bear on it, in both Japan and the U.S.
Our challenge, our focus was to make sure we had documentation, we had compilers that were producing correct code, that the SH-2 was optimized, that we had debuggers, hardware emulators and a variety of other things. I don’t think very many people understood the layers of infrastructure required to actually get developers up to speed on a new platform. One of the stories that hasn’t been told is that the 32X actually helped development teams that had been successful on Genesis make the step up to the Hitachi SH-2 – dual SH-2s in that case – and there were a bunch of routines, a collection of tools and compilers that were created to support 32X development that were adapted and ported over to Saturn. The early launch meant that we had to accelerate all of that in the pipeline as well – all the cross-development tools, all the documentation – and get developers ramped up 6, 8, 12 months earlier than we had expected or intended. Sega-16: That’s a new perspective on the 32X. Everything written has always referred to it being in the way, as a stop-gap measure or even a “band-aid,” as Trip Hawkins once famously put it. Joe Miller: No, I haven’t seen that written about either, and there’s more to it than that, but yeah… I think it is important for people to realize that the only way any platform is successful is if developers can do great things with it, creative things… technical things… new things… and light up people’s imaginations up with their code. A platform that is as complex and as different from the 16-bit systems as Saturn was… we knew that that was going to be a challenge. That was one of the reasons, frankly – and I’m probably getting into dangerous territory here – why the 3DO never fulfilled its promise, in my view. It was difficult to develop for, and it took several developmental cycles, several title cycles, for people to really get comfortable with that architecture. We didn’t want the same thing to happen in our transition from 16 to 32-bit, so we invested heavily. We actually bought a company called Cross Products in Leeds, England, to focus entirely on building developer tools, both hardware and software. We had a deeper relationship than most people realize with compiler manufacturers, with makers of various types of tools we needed to get developers up to speed quickly. We actually had a full team, a dedicated group of people, putting on developer conferences that were expensive to put on. They were very time-consuming, and even our senior developers, who were writing code for SOA first party titles for Saturn, were asked to take time out to create presentations for developer conferences to share their knowledge of the workings of the hardware, so that we could bring third parties up as quickly as possible. Sega-16: That leads us to the question that has to be asked. There’s been great debate, great drama, about the origins of the 32X, so let’s settle it once and for all. Was the 32X something that began at SOJ, or was it SOA’s response to an order from Japan? There’s that famous story about you, Marty Franz, Scot Bayless and others in a hotel suite, coming up with the design for the 32X on a napkin. There’s the whole story about how SOJ basically wanted a Genesis 2, which was basically the same machine with a larger color palette, and you convinced them to go with the infamous mushroom add-on design instead. What’s truth and what’s urban legend? Joe Miller: It’s not as dramatic at all as it’s been made out to seem. There was no palace revolt, and I don’t think there were any napkins involved, though we did have large stacks of sticky, white paper… easel paper all over the place. We were drawing pictures and diagrams (system diagrams) and doing lots of other things during those meetings which took place at all hours in rooms at our Las Vegas hotel. Hideki Sato was right there with us, and I don’t want to rehash history – I certainly don’t want to rewrite it either, because there has been a lot said about it, about what exactly transpired there. Let me just put it this way. At CES (Consumer Electronics Show) – and perhaps we even had a little warning before CES – it became clear that there was a desire for us to take a product that was in the early design stages in Japan. It was a new platform (nobody was codenaming things “Jupiter” then, or even “Mars” at that point), and there was certainly an awareness that Japan had an idea of what they wanted to do with a Genesis platform that had more colors and was able to do 3D… take some of what we learned on the SVP chip – the polygon-pusher chip – and integrate something that was more capable and build a new platform. It was still going to be a 16-bit machine with some limited 32-bit capabilities. When CES began, we started having discussions about the timeframe for this because there was a strong desire for it. It was January (this was winter CES), and there was a strong desire for whatever it was we were going to build to be available in the marketplace by Christmas of that year. That’s a tall order for a start-from-scratch machine. Nothing exists; no boards exist, no chipsets… a tall order for anybody at any organization to say “let’s design hardware; let’s build it; let’s get development systems, and let’s have titles that are compelling enough to actually gain the attention of our customers… not alienate them but actually cause them to be excited about it,” in basically a six to nine-month timeframe. So, given all of that, we collectively – those of us on the technical side at SOA and the senior technical representatives that were at the show from Sega of Japan – said “let’s at least talk about alternatives. Let’s at least spend some time exploring the art of the possible,” and we did that. We had several designs, several architectures… several choices. Some were simpler than others, and some were more complex, but they were all generally in the same category of what SOJ wanted to do with the new platform. One of them was to see if we could leverage the existing Genesis as a base and then add capability to it. Frankly, we had done as much with the Sega CD, an add-on that had started, literally, as a sit-underneath platform, and that added new capability. It added a color layer; it added audio and a bunch of other capabilities, and we sold around six million of those. The installed base for the Genesis at that time was something less than 40 million, so we felt that model had some merit, because it kept our customers from having to discard an existing platform that they had made an investment in already. Certainly, our core customers had made an investment in several titles, several games on that platform. It was the first time we had been invited to do that, to be in on the ground floor discussion of a platform as it was evolving. More importantly, they were inviting us to help them design it, to lead some of the process of getting that done, and we did it. Of course, for better or for worse we did ship it in November of that year, so we met our timing objectives. One of the reasons I didn’t want to go here in the interview is because I think the 32X actually was an interesting, viable platform. The timing was wrong, and certainly our ability to stick with it, given what we did with Saturn, was severely limited. There were a whole bunch of reasons why we couldn’t ultimately do what we had to do with that platform, without third party support and with the timing of Saturn, but I still think the project was a success for a bunch of other reasons. In hindsight, it was not a great idea for a whole bunch of other reasons. You know, we could look back and quarterback the whole process and determine what part of that made sense and what didn’t, but I like to think that if you take the 32X as a product, as a design, as a meaningful stepwise improvement that allowed existing core Genesis customers to take their box, add some pretty interesting capabilities on top of that, and do it all under $150 at launch… there was no one thinking that there would be a 32-bit platform out there at anything less than $300, so we were essentially able to build a high performance platform for half the price of what our customers were expecting to have to shell out. I still think it was a worthwhile exercise. 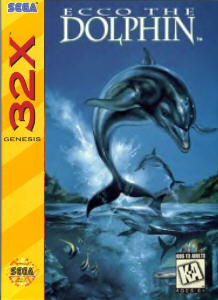 Sega-16: What can you tell us about the video footage of Ecco the Dolphin on 32X? Was there ever anything behind that, or was it just to show off the machine? Joe Miller: That was just part of our pitch process. That was compressed video, Cinepak, I think… one of the video compression tools that we were creating and experimenting with to use all the color that we were pushing with the 32X. So, that was actually a demo of a rendered video sequence of Ecco that ultimately ended up, I think, in the Saturn title. There was a proposal for it, but we didn’t go forward with a 32X game for Ecco. What we did do with the SVP chip, which I don’t think a lot of people realize, is that we had a fully working level of Virtua Fighter running on that chip. That never shipped, and it ended up being saved for Saturn, obviously. Sega-16: Was it related, in terms of development, to the 32X version? Joe Miller: Actually, it was. It was done about the same time, and instead of shipping it on the SVP after Virtua Racing, the decision was made to just port it straight over to the 32X. The 32X was capable of a much higher poly count and it felt very much like the coin-up. Sega-16: What other memories of Sega would you like to share? I’m proud of the work we did on Sonic (CD); I thought it was great. I know it didn’t warm the hearts of the absolute, passionate core gamer that thought the Japanese soundtrack was just fine. I just happen to believe they’re both great soundtracks. Again, the point of producing the soundtrack for the Sega of America release of Sonic CD was not just to change it because we could. It was because we wanted to create a soundtrack that we thought was going to be able to broaden the North American marketplace of gamers and listeners here, and I think it did that. Some of the other Sega titles that stand out for me, that I remember… the Jurassic Park games, on both cartridge and CD were huge sellers, but they actually represented an exploration of original kinds of gameplay. ToeJam & Earl: Panic on Funkotron was a sequel that I think met or exceeded the expectations of the folks that really loved the first game. It brought a new level of humor to the game, and it’s very tough to pull off humor in a video game. I’m also a fan of Ed Annunziata’s Ecco releases, all formats, because that was another attempt to experiment with a fresh gameplay mechanic and a different concept to appeal to a broader audience, not just the core gamer. Personally, I’m pretty proud of what Mike Latham pulled off with Eternal Champions, with its rich storylines and characters. That’s an example of building a very high quality title within an established genre, as opposed to trying to break out and create new genres, which is what I consider Ecco to be – not just a platformer but a new genre. For the 32X, I think Star Wars Arcade was extremely well done. That was an SOA title done by Rod Nakamoto’s group down in LA, Sega Interactive. It was one of my favorites because it was a very faithful reproduction of the arcade game. What Roger Hector and STI did with Comix Zone was fantastic. Both VectorMan titles are big favorites of mine. Those were done by George Kiss and the SOA BlueSky group in San Diego. I’m a fan of both versions, for the gameplay and for the audio. I came in and was asked to be responsible for managing the relationship with Digital Pictures, with Tom Zito in ’92, as we experimented with the interactive video genre and tried to figure out how to make that work well as a viable gaming experience. One of the titles that I liked in that category was Prize Fighter, where you literally got in the face of a series of boxing opponents. I’m also proud of the fact that we got into the spirit of building a broader audience than just the stereotypical core gamer. We launched Pico, the educational platform for younger kids, using the Genesis hardware. I named my dog Pico, in fact, because I was so passionate and excited about that product. Unfortunately, my dog is no longer with us, and neither is the platform. We also launched the Sega Club for younger-aged gamers and released games like Ecco Jr. and Crystal’s Pony Tale, which were very popular with young girls. Wacky Worlds was another favorite of mine. We shipped that one bundled with a mouse. So yeah, I have great memories of that time. I remember Michael Jackson would love to just swing by SOA and visit us. He would surprise us with these visits. I would get a call, from usually a driver of his, saying he was in the Bay area and just wanted to come by for a quick visit without any prior warning. Of course we’d accommodate him, since we had a long relationship with him going back to the early days of Genesis. He had kept in touch with us and would come in and just wander through PD, going from workstation to workstation, person to person. He’d want to look at concept art of games in progress, and he’d sit down with the music guys and listen to the stuff we were working on. That was always a lot of fun. Sega-16: Do you know anything about him being involved with the soundtrack to Sonic The Hedgehog 3? Joe Miller: I do not… It could well be, but the guy who’d be able to tell you would be Al Nilsen. He was the person Michael liked to work with at Sega most directly. I don’t know anything about collaboration on the Sonic 3 soundtrack, but Al would, and possibly Shinobu Toyoda would. 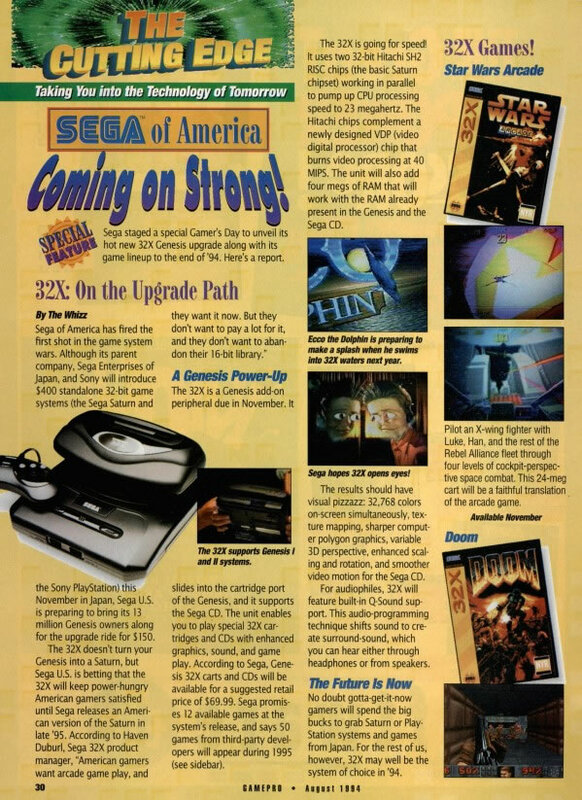 Sega-16: We published an article on the subject, and we spoke to Nilsen, Roger Hector, Marc Cerny and others, but nothing was confirmed. Our hypothesis is that he was interested and perhaps worked on something unofficial, but he was never actually contracted by Sega. Joe Miller: I don’t think he was, not for Sonic 3. I don’t believe so. Sega-16: Scot Bayless and others have mentioned how he frequented the Sega offices, and he loved the Multimedia Studio. It seems like there was definitely a sustained relationship there after Moonwalker, but we really don’t think there was anything signed or official. Joe Miller: No, I think we would loan him new coin-op systems when he asked. And when he was in Japan he would tour SOJ and get early peeks at new products there, too. The relationship was just one of understanding the cultural impact of video games. He genuinely wanted to understand the process better; he wanted to know how we went about creating this stuff because he was fascinated by it. But you’re right. After Moonwalker… there were a couple of things done for coin-op, I think. There may have been a Michael Jackson experience (or video) created for the Joypolis center in Yokohama. I seem to recall that, but I don’t think there was an ongoing formal relationship with him, except that he would come by and spend time with us, which was fun for both of us. There’s nothing better than doing what you love to do for a job and having someone like Michael Jackson walk through and say “hey, what are you guys doing? This is pretty cool.” Our teams were thrilled, and I’m proud of the fact that we didn’t have to tell anybody not to ask him for an autograph. Everyone was respectful enough to know that that wasn’t appropriate while he was walking through. He was actually on crutches, I remember, for one visit. I don’t know when he was on crutches; he might have broken his leg while on tour somewhere. Sega-16: Mike Latham mentioned that once. It was during an art contest where Jackson had to pick out a winner, and he was on crutches. Joe Miller: Yeah, which is another reason why I was hoping nobody would ask him for his autograph. He was having a hard enough time, hobbling around on his crutches. Sega-16: We appreciate you taking the time to chat with us! Thanks for all the great information. Joe Miller: I enjoyed the conversation! I’m very impressed with your ability to draw out details, and the commitment you’ve obviously made to documenting all of this is pretty amazing. Good luck with that; keep it up! ← Barkley Shut Up and Jam! Awesome interview. The MJ stuff was neat. What an awesome interview and information provided by Mr. Miller. Fascinating times for Sega.